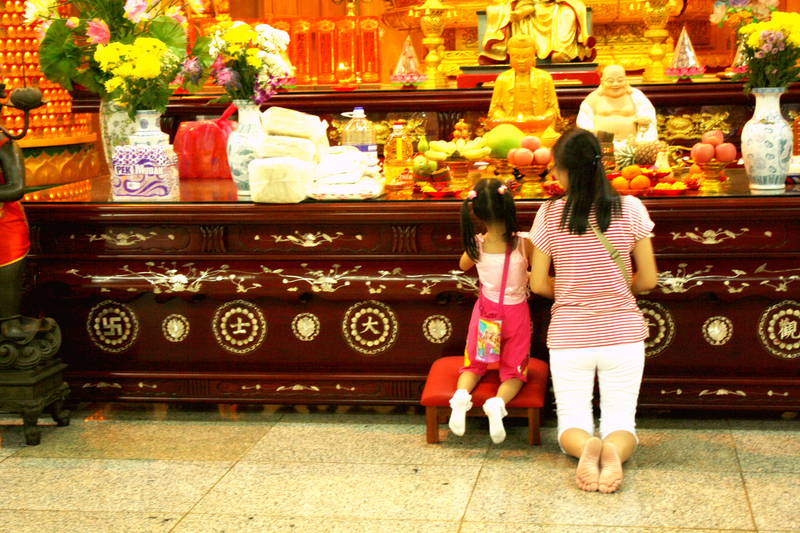 I spotted this moment at the Khoo Kongsi Temple in Penang, Malaysia. A little girl and her mother are sharing a prayer together. It was during Chinese New Year so the beautiful temple was packed! I was so lucky to get to see the excitement and celebration centered around the wonderful holiday!